Double the trouble, double the style! It’s time to switch up yo’ look. 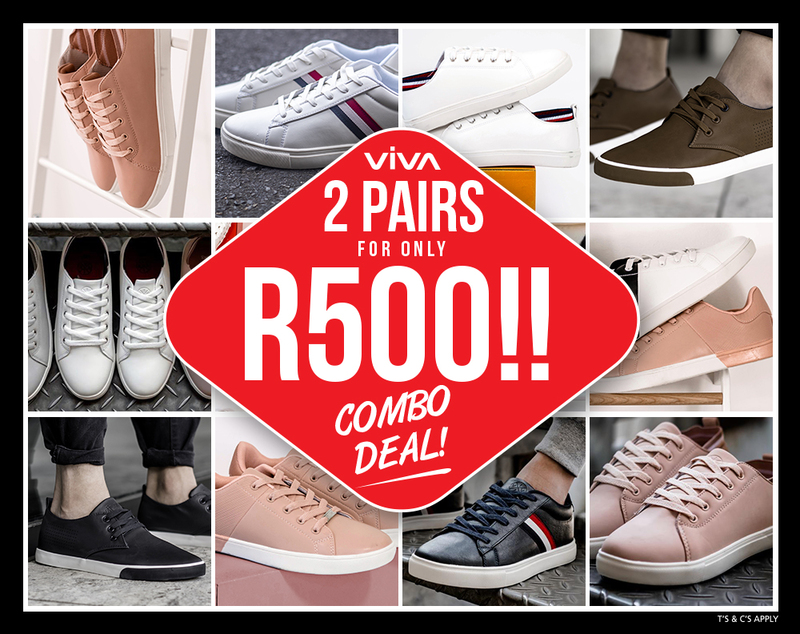 Visit your nearest Footgear store or shop our selected men’s and ladies @vivafootwear sneakers online on COMBO today and get TWO PAIRS for only R500!!! *Offer valid while stocks lasts.